In a recent post-mortem of failed startups by data marketing firm, Fractl, the founders cited a poor business model as the top reason they failed. 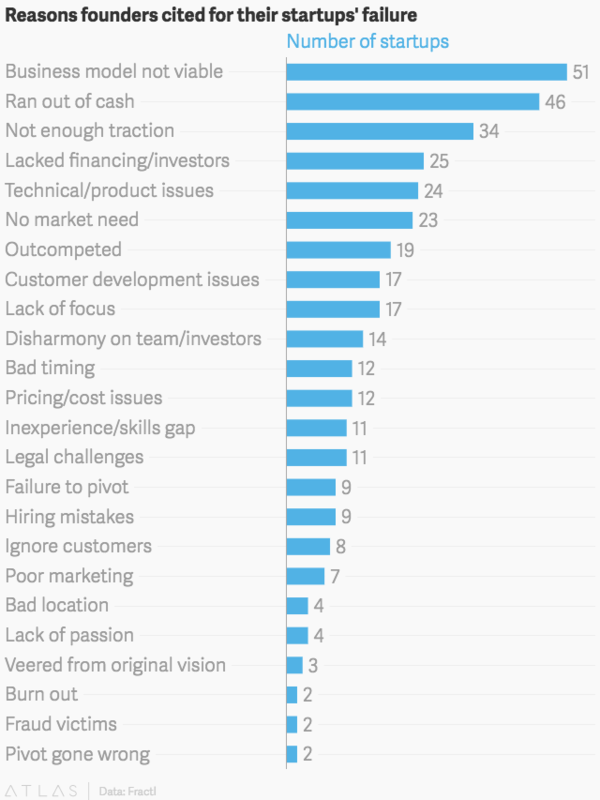 CB Insights listed “No Market Need” as the top reason 90% of startups fail. These pitfalls also apply to large companies wanting to rejuvenate themselves by attracting new audiences for their products and services. Probably the most important idea behind the Business Model Canvas is how to test out your value proposition. The only way to do that is to talk to your customers. We’ll write more on that in an upcoming post. Next Next post: Women are from Venus and Men are from Mars and….